Edward Gibbon Wakefield and all the other Wakefields. One of the joys of research- and yes, it IS still a joy- is that sometimes you are led into a direction that you didn’t anticipate. I’m not talking about the siren-songs of distraction that keep your head turning from side to side, but a genuine surprise that makes you stop to re-evaluate what you’ve already found from a different perspective. The other day I was speaking with a friend who is a librarian, who enjoys the act of finding and building order into material, and he said that he could not tolerate the anxiety that the next resource he turned over might upend the whole thing. I don’t see it that way (yet? ): I am still open to surprise and fluidity. As a result, regular readers might have detected that I am wandering recently into the swamps of colonial constitutional history- not a destination I would have expected or relished- and it is here that I have stopped for a little while with Edward Gibbon Wakefield (EGW from hereon) with two books that I’ve just read. 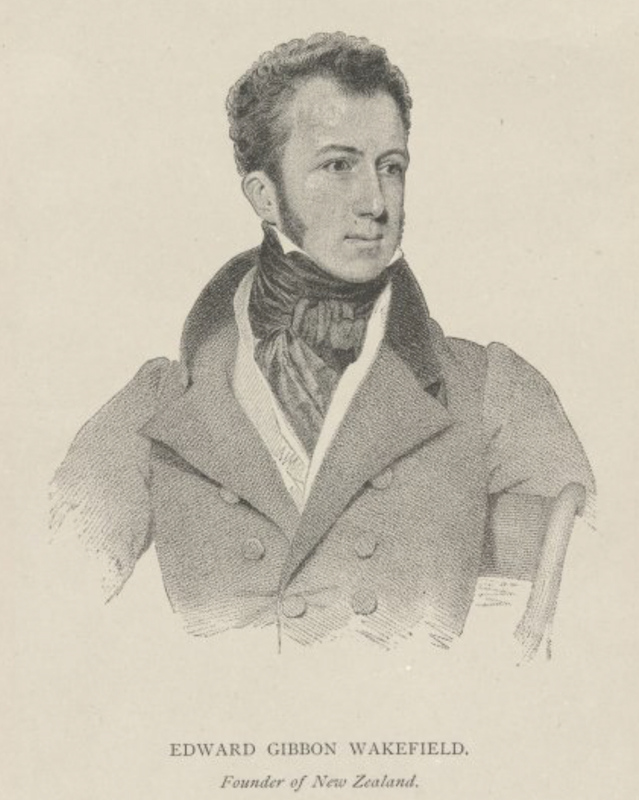 Edward Gibbon Wakefield (to the extent that he is known at all) is most often associated in Australia for his connection with the settlement of South Australia in 1836 under his theory of ‘systematic colonization’. Put very briefly, this involved encouraging immigration to the colonies across all strata of British society, but ensuring that labourers remain available as a mobile labour force by selling land at a “sufficient price” that too high for them to purchase until they had been in the colony for a number of years. 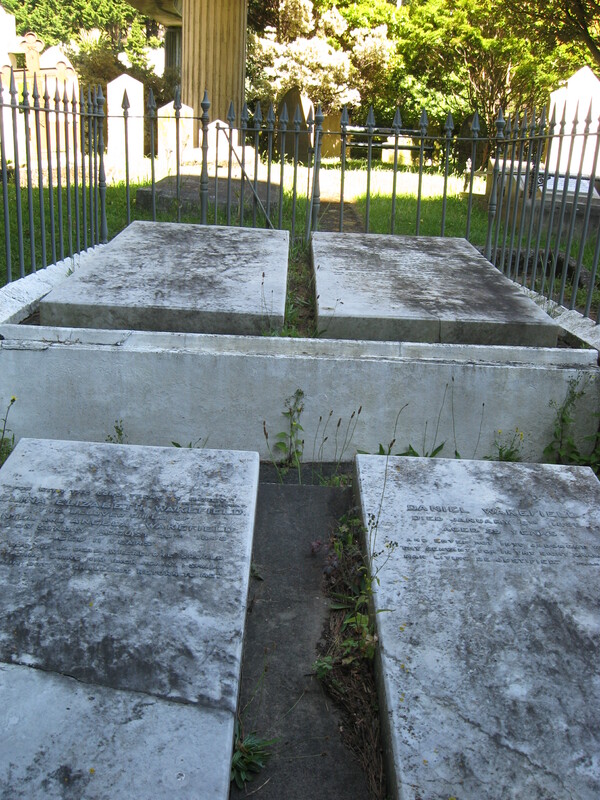 I was aware that there were Wakefieldian settlements in New Zealand, in Christchurch in particular, and so I was rather bemused by all the Wakefieldian graves in Wellington. 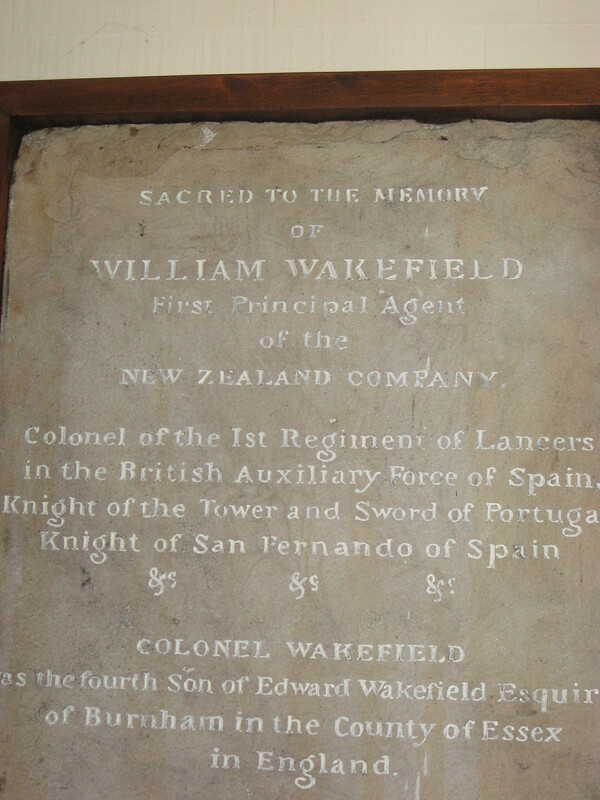 Memorial plaque to Col. William Wakefield, Bolton St cemetery. The works that I have read on New Zealand, namely Paul Moon’s Hobson and Peter Adams’ Fatal Necessity portray the Wakefieldians as insistent self-interested lobbyists, who needed to be watched carefully. I was also aware that Wakefield had been imprisoned for kidnapping an heiress- indeed, it was during this period of incarceration that he wrote his Letter from Sydney (penned from his cell in Newgate!) which spelled out his systematic colonization theories. 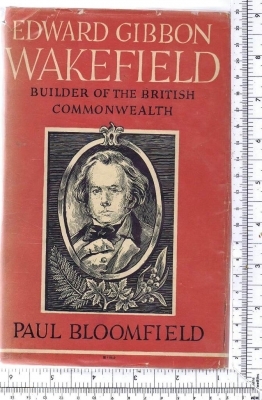 Paul Bloomfield: Edward Gibbon Wakefield: Builder of the British Commonwealth, London, Longmans, 1961, 378 p.
The first of the two books I have read recently is Paul Bloomfield’s Edward Gibbon Wakefield: Builder of the British Commonwealth. This book, written in 1961, has been described in a paper by Ged Martin as “the high-water mark of uncritical admiration of Wakefield and his work ” as the title might suggest. He starts his book with the abduction, told in racy and engaging prose- and why not, because it’s a good story. It was, however, an episode that cruelled Wakefield’s career from that point on, as the scandal attached to it ensured that he could never put his name to any official policy that drew on his principles, and he had to content himself with background lobbying and influence instead. There are relatively few footnotes, although there is a bibliography and useful index, and there are frequent references to novels and literary characters, as if Wakefield himself sprang from fictional origins. This is something that I find myself having to resist in my own work. The 19th century novel is so pervasive and its representation in film and television provides such a ready visual backdrop that it’s easy to switch to a fictional shorthand. As such, Bloomfield depicts the abduction as a youthful aberration that denied Wakefield the acclaim he deserved. The emphasis is mainly on Wakefield’s lobbying in England amongst Parliamentarians, although it does follow him to Canada and New Zealand as well. The second book that I’ve read recently on Wakefield does just this. Philip Temple, A Sort of Conscience: The Wakefields, Auckland, Auckland University Press, 2002 (paperback edition 2003), 541 p.
A Sort of Conscience is more nuanced than the Bloomfield account, and it spreads its analysis further into the Wakefield family as a whole- the brothers and sisters, nieces and nephews, many (but not all) of whom ended up embroiled in one way or another with Wakefieldian enterprises. Although fundamentally positive towards Wakefield, Temple acknowledges the flaws of personality amongst many of the Wakefield siblings and while not dismissing the abduction completely, argues that even more disquiet amongst influential people was prompted by Wakefield’s involvement in a dubious legal case about his first wife’s lucrative will, some ten years prior to the abduction escapade. Like Bloomfield, Temple shows that Wakefield was forced to operate in the background when his policies were implemented, but this seems fortuitous as he was overbearing, interfering and careless of details. Wakefieldianism is often presented as a monolithic and inflexible policy, although frustratingly vague in important details like the price that should be charged for land to make sure that settlers remained labourers for a few years instead of moving straight on to being self-employed farmers. I was interested, then, to see that Wakefield himself was more pragmatic and open to change than I expected once he actually moved to the colonies settled under variations of his theories. This book is, like Bloomfield’s, ultimately sympathetic to Wakefield, although with more serious qualifications, as the ambivalence of the title suggests. 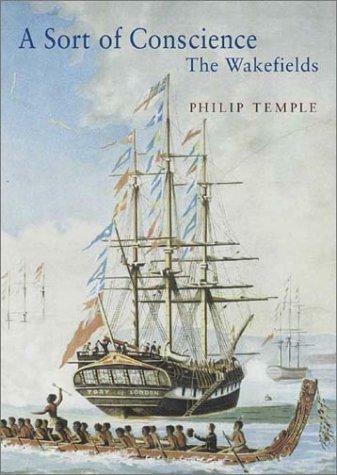 By following him more closely to the colonies, and by broadening the scope to the Wakefield family as a whole, Temple captures well its mobility and the emotional tenor of lobbying and patronage in early 19th Britain and its colonies. The book has been very well received, winning the Ernest Scott Prize in 2003, the Ian Wards prize for historical writing, and the Biography category of the 2003 Montana New Zealand Book Awards.